Sheldon L. Gonte, M.D. (Sterling Heights) - Book Appointment Online! 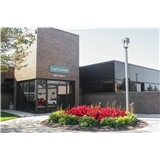 Dr. Sheldon L. Gonte is a local of the Sterling Heights area. He performs state of the art cataract, glaucoma, diabetic, eyelid, and cosmetic surgery. With twenty years of LASIK eye surgery under his belt, Dr. Gonte is a veteran in his field. Dry eyes are treated with advanced technology and all surgeries are performed in a highly specialized surgical center nearby. Dr. Gonte continues his education by attending ASCRS and AAO seminars and, in addition, he has been a guest lecturer at several conferences.